A pound a week, in fact. And it may interest you to know that this coffee is the one single-origin offering that we most often choose to enjoy at home, after we take off the green apron. Why do we love it so? 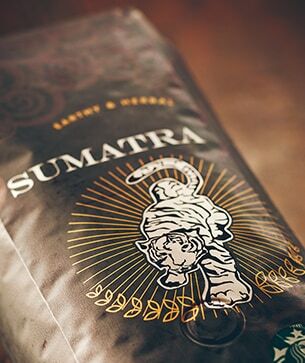 It has a full, buttery body with virtually no acidity, so the coffee’s intensity and flavor simply lingers on your tongue. Make no mistake, this is a slurping coffee. At its best, there’s no mistaking the concentrated herbal notes and earthy aroma – telltale marks this beloved brew have left on our shirts and our hearts. A stack of syrupy pancakes before the house wakes up.